Zimba-Arts specializes in fair trade art from Africa, handmade from recycled and sustainable materials. The company was founded by Shadreck Huni, a Dutchman with Zimbabwean roots, who began making and selling traditional art from Zimbabwe to finance his studies in the Netherlands. His art soon gained popularity at European art markets, festivals and trade shows; and so he made the decision to help other young people in his home country by importing the handmade artwork created by his old schoolmates in Zimbabwe, where over 72% of the population is living in poverty. This is the seed that has grown into Zimba-Arts, a company that now supplies over 400 retailers in 6 countries. The funds raised by the sale of this artwork continue to help pay for educations, support children and feed families in the same communities where the art is handmade. As Founder and CEO, Shadreck now works with groups of artists in the high-density suburbs of Harare, Zimbabwe’s capital city, offering mentorship that helps to increase their skills and make their art accessible beyond the African market. In 2014, Zimba-Arts expanded its collaboration and mentorship to include artists in Ongata Rongai, a peri-urban settlement on the outskirts of Nairobi, Kenya. Shadreck believes in the creativity, talent and potential of each of these young artists, and he strives to help them achieve a sustainable income by creating and selling their art. Through his mentorship, Shadreck offers advice on expectations and quality necessary to achieve success on the European market. He prioritizes business management and financial planning skills, while working to instill in his artists the importance of educational attainment; so as they receive increased income from the sale of their artwork, ten percentage is set aside to pay for their children’s school fees. Shadreck truly believes that youth are the future of Africa, and that the achievement of their academic and career goals will help to better society as a whole. Zimba-Arts has headquarters in a historical, converted farmhouse in the Netherlands countryside and a dedicated workshop among a community of artists in Harare, Zimbabwe. Shadreck spends his year traveling between Europe and Africa, designing new art and continuing to mentor his artists. Most developing countries have no official recycling system, but many have a strong informal recycling sector. Individuals retrieve reusable materials from local landfills and resell them; a job that benefits the environment while providing a source of income for those who need it most. It is estimated that over 15 million people in developing countries survive by salvaging recyclables from the urban population’s waste stream. Zimba-Arts supports this informal recycling sector, where materials from African landfills are reborn as art. 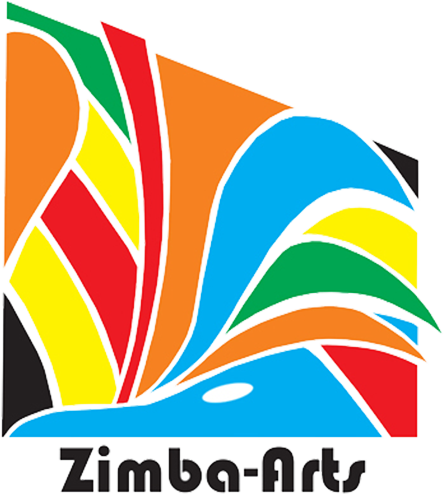 Each Zimbabwean sculpture is made from scrap metal – oil drums, cars, washing machines, refrigerators and stoves – salvaged from the landfills in Harare. The metal is put into a fire to remove paint and rust, cut to specification and welded to create the sculptures that Shadreck designs. The art is then varnished, painted, varnished again and finally left to dry under the African sun. The finished pieces are sent from Zimbabwe to the Netherlands, introduced onto the European market – and brought into your home. Our wooden artwork is made from the fast-growing Jacaranda tree, a multi-purpose wood that is obtained sustainably from nearby Machakos and Kiambu Counties. Use of this relatively soft “good wood” helps to prevent forest degradation, reduces pressure on endangered hardwood species, secures future wood supplies for the carving industry and supports a sustainable livelihood for Kenya’s wood carving artists.